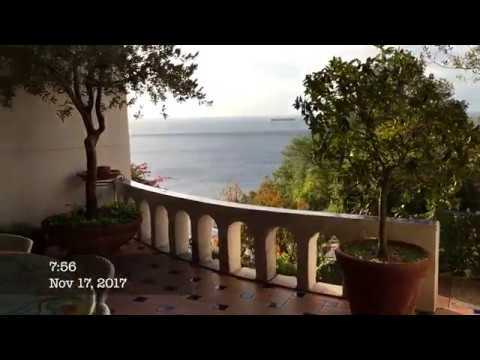 This is a beautiful vacation home villa for sale located along the Amalfi Coast with spacious terraces and gardens with pool & parking between Praiano & Ravello. Situated just below the Strada Nazionale on the north coast, the home has six bedrooms, six bathrooms, balconies and terraces, presenting views of the colorful blue waters of the Mediterranean Sea located below just below the property. The estate also offers gated parking, conveniently located adjacent the residence.